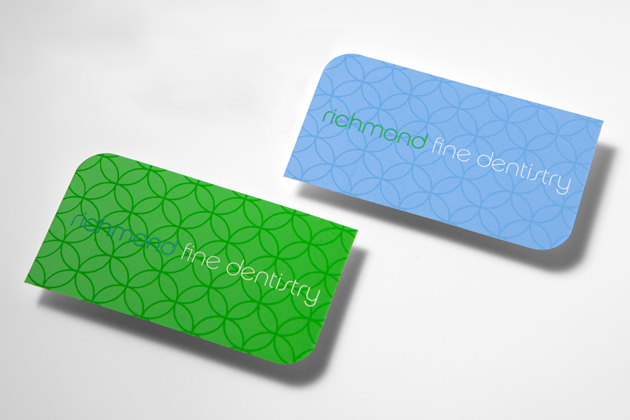 Richmond Fine Dentistry operated under a different name, and were seeking a new signage resolve to give them more visibility on busy Bridge Rd. What originated as a signage request in 2009, became a complete re-brand and an ongoing relationship with Judy and Robert until present day. Our initial meetings with Judy and Robert unveiled a discomfort and an uncertainty with the original name and branding of the dental clinic. Any business owner has to comfortably wear the suit of the business. If you find yourself feeling uncomfortable or making excuses then the branding is undoubtedly wrong. 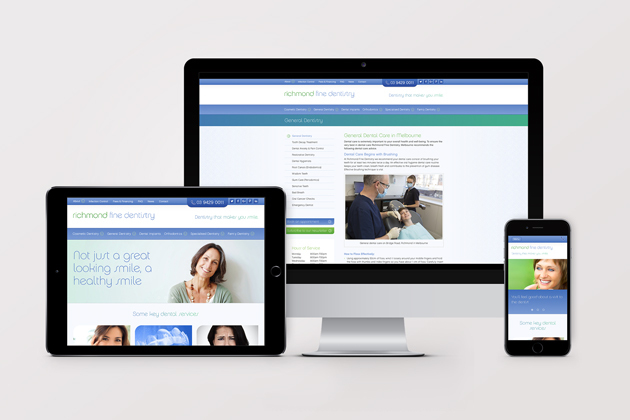 Following this we began a renaming & rebranding process which then led on to signage, collateral, online and essentially all the touchpoints for the practice. 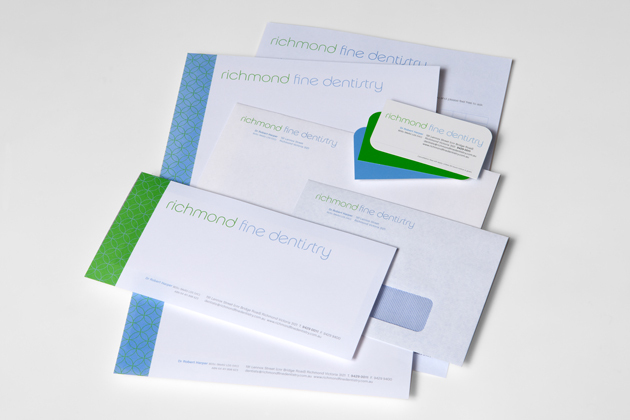 Simple elements such as spot UV’s on the back of the business cards and uniquely designed new customer bags were all part of the Richmond Fine Dentistry experience. They have one of the most comfortable waiting room environments we’ve seen and this is just the start of the great service and attention to detail which they provide. All of this is summarised in every small element that they have had managed and designed through Juggler Design. They continue to rank number 1 for local dentist searches organically. Currently they rank so highly above their competition that the Google Knowledge Box for their business returns for many search queries outside their brand name. 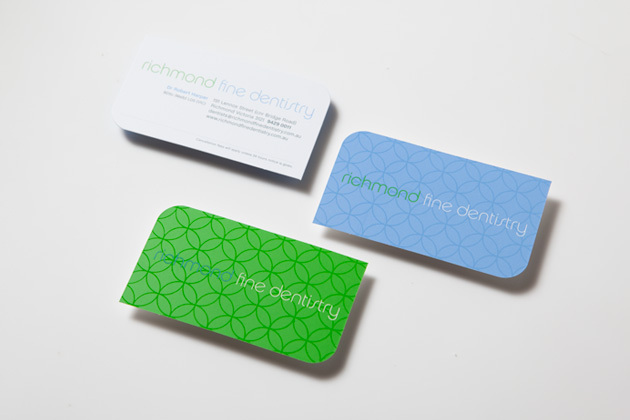 ..the number of new clients we see each month has increased 100% in the past 18 months. Our new look is a true reflection of what we always wanted to be.